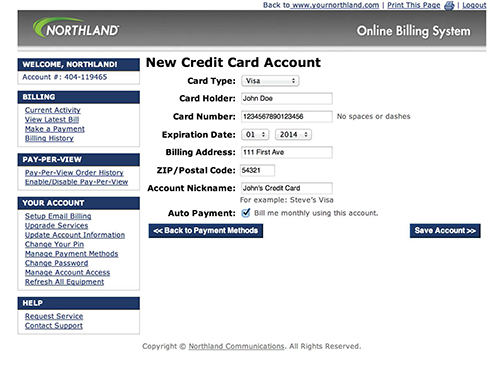 Setting up auto pay in Northland’s online billing system is quick and easy. Just log in to the online billing system and follow the instructions below to set up a new auto payment method* for your account. Auto pay will begin on your next payment due date. 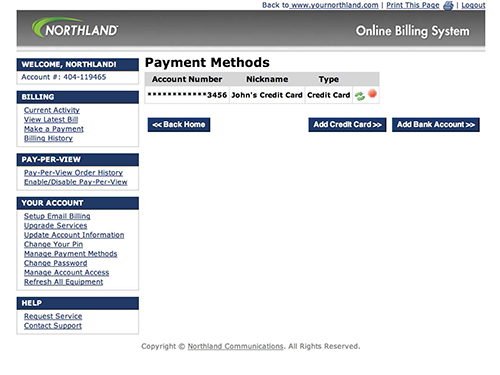 From the home screen click Manage Payment Methods on the left, under Your Account. Then click Add Credit Card or Add Bank Account. Enter the account details. 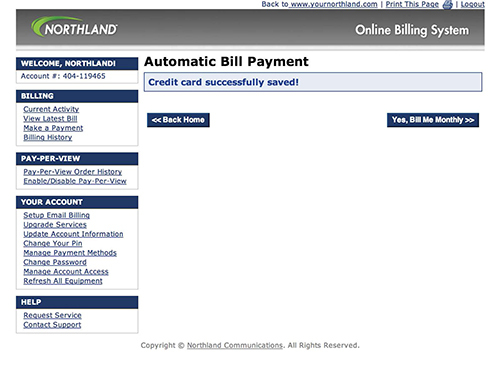 Check the box for auto pay, then click Save Account. The next screen will confirm the account has been added. Click the button that says Yes, Bill Me Monthly. To view payment methods click Manage Payment Methods. 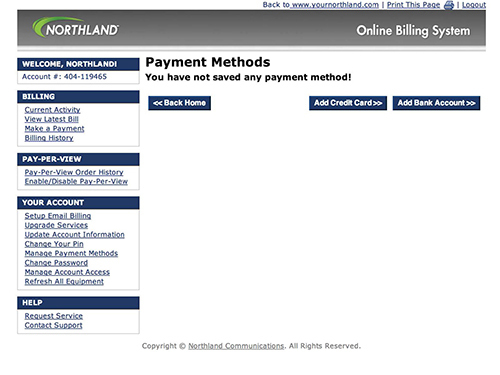 To stop auto payment, click the red stop sign to the right of the account.